This Himalayan salt lamp blends the natural goodness of pure pink salt with modern design. 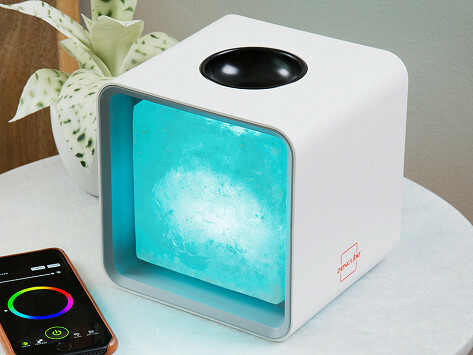 And unlike other salt lamps, this one won’t sweat and break down (and get messy). The LED light can be controlled by an app to customize your mood-boosting experience, too. Dimensions: 6" x 5.5" x 6"